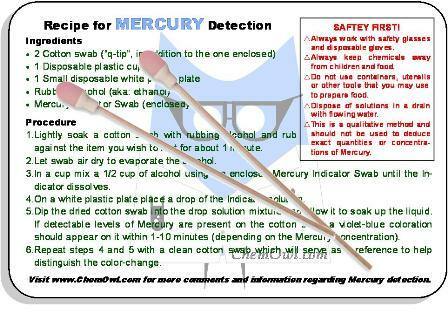 The following detection recipes were designed to empower our website visitors with the ability to check for those hazardous chemicals discussed on Home-Health-Chemistry.com in their own homes, without the need for elaborate laboratory techniques or expensive scientific equipment. The tests we offer aim to be easily understood and simple to follow. We understand that the more cumbersome and technical a testing procedure is the less accessible it will be – thus, we developed our recipe-style tests to be user friendly and make use of common household materials in addition to specific indicators. 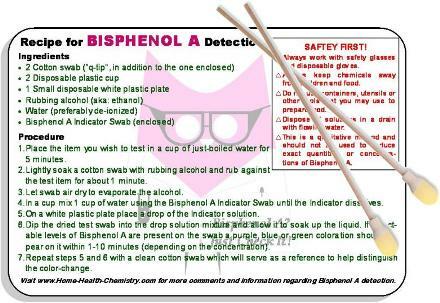 You may choose to buy specific indicators from us or from any chemical supplier of your choosing – do as you wish. No strings attached – all our information is presented FREE of charge and is intended for your benefit and use. 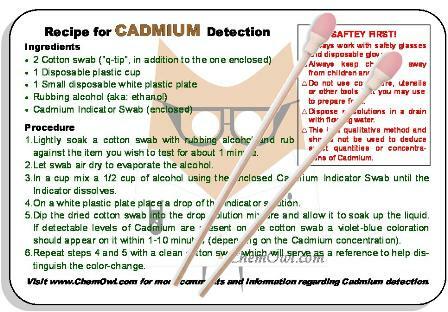 These detection recipes have been developed and tested by a professional chemist; and although they were designed with user friendliness and safety in mind, these screening procedures are functional and viable. They are, however, qualitative methods and should not be used to deduce exact quantities or concentration of the hazardous chemicals, only their presence. 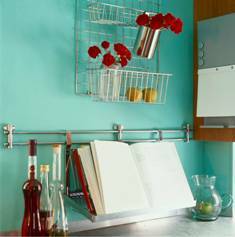 Be sure to read all the comments and safety instructions attached to the recipes. 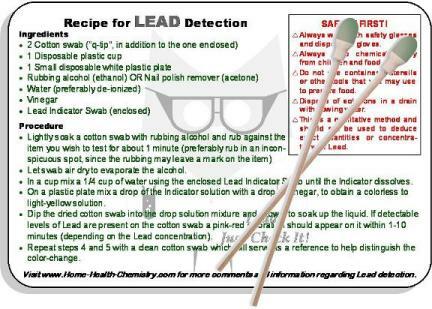 Lead - found in paint, children's toys, drinking water, ceramics and more. 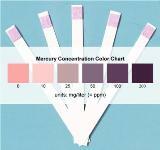 Mercury - found in fish and seafood, cosmetics, over-the-counter drugs and more. 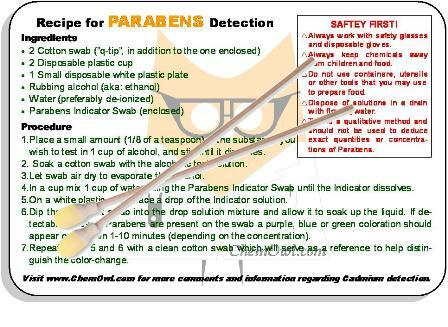 Parabens - found in deodorants, shampoos, processed foods and more. 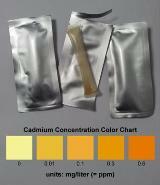 Cadmium - found in colors and pigments, plastics, metallic fixtures, meat and more. 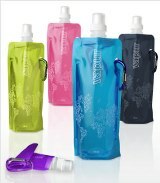 Bisphenol A (BPA) - found in baby bottles, food and beverage containers, water bottles and more.